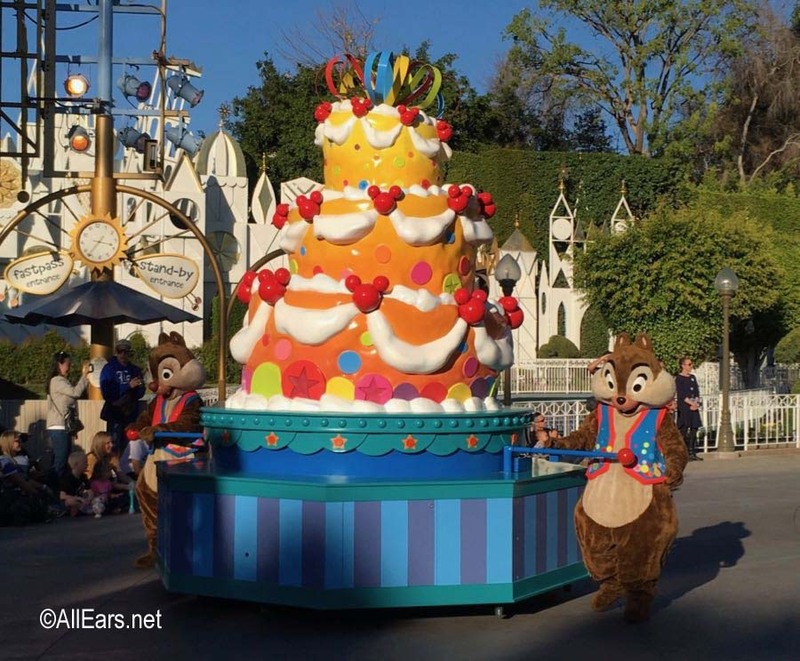 Previous PostPrevious Food and Merch Preview: “Get Your Ears On” at Disneyland Resort! 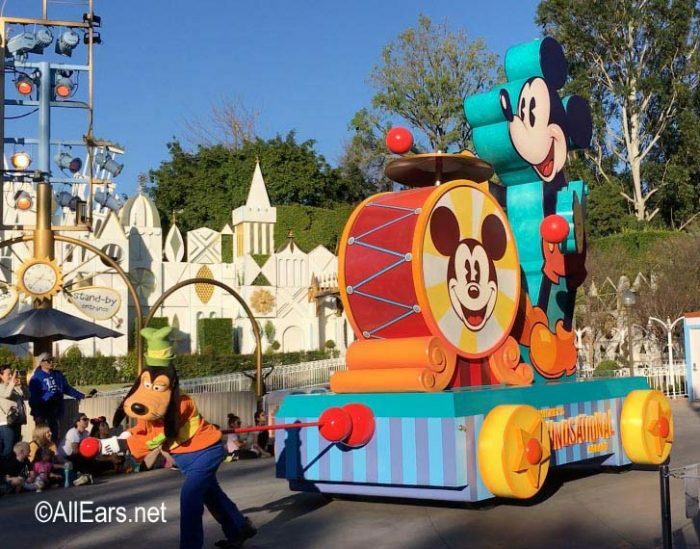 After an absence of more than a year, Mickey’s Soundsational Parade returned to Disneyland on January 25, 2019. In celebration of “Get Your Ears On – A Mickey and Minnie Celebration”, the parade includes two new floats. Mickey Mouse returns as the leader of the parade performing live on a drum set. Chip and Dale have a new role in the parade — pushing a 12′ tall celebration cake for Mickey Mouse. The new Mickey pull-toy float, inspired by classic Mickey toys, is 19′ high and almost 25′ long, including the string that Goofy is pulling. The floats feature characters and music from Disney movies such as “The Three Caballeros”, “Peter Pan”, “The Little Mermaid”, “The Jungle Book” and “The Lion King”. The floats incorporate many musical elements. 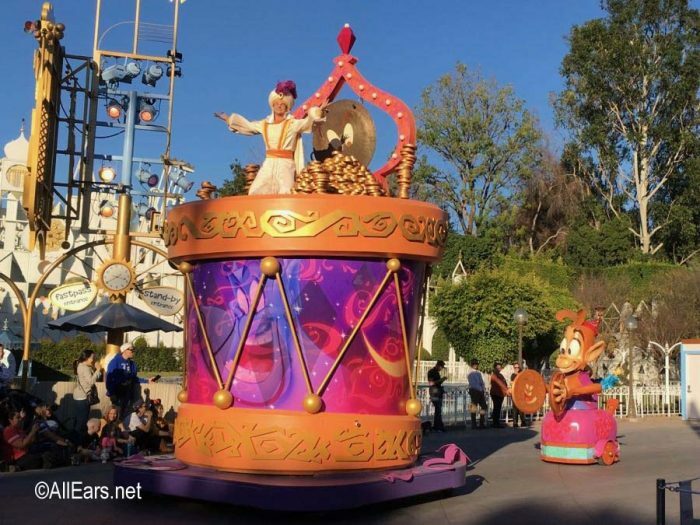 Abu, playing the cymbals, follows Aladdin’s large drum. 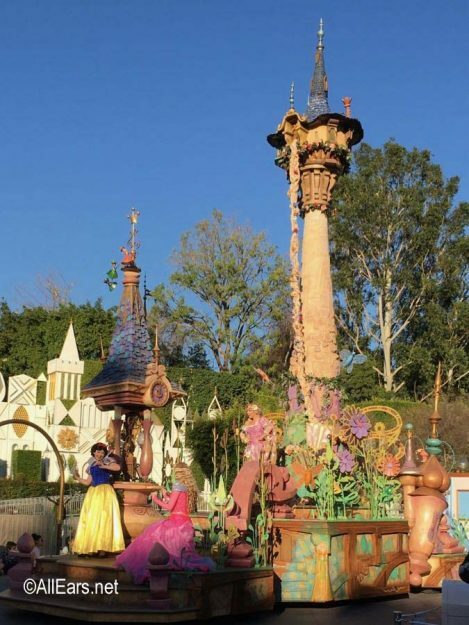 The Princess float includes Snow White, Aurora, Rapunzel, Belle, and Cinderella. At 34′ high, the replica of Rapunzel’s tower is the tallest in the parade. Tiana’s riverboat is made of musical instruments — like a clarinet smokestack and slide trombones driving the tambourine paddle wheel. 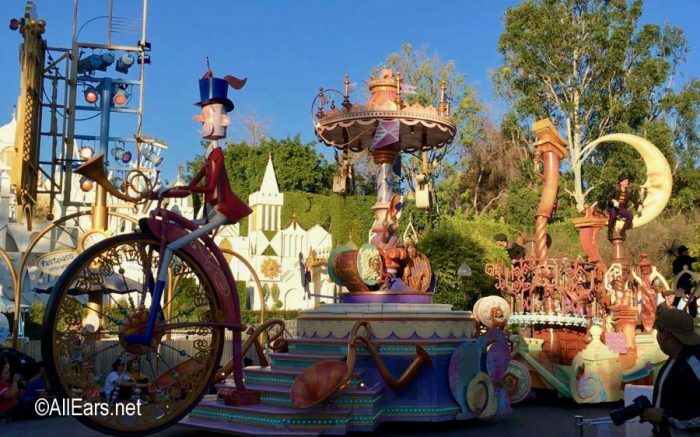 The final Mary Poppins float features a whimsical carousel with tuxedoed penguin riders pulled by a red-coated huntsman on a large old-fashioned bicycle. There are chimney sweeps on the rooftops of London at the back. 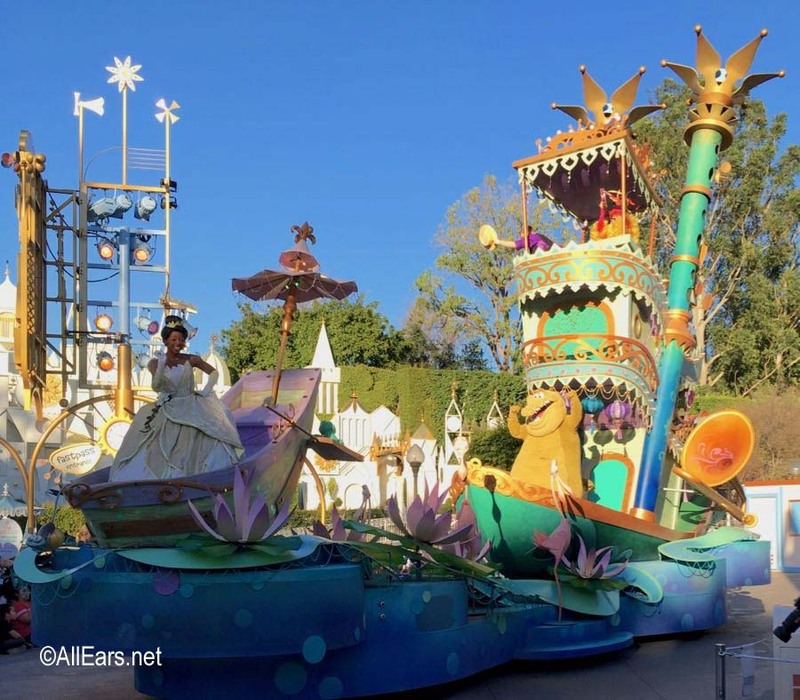 Are you happy to see the Soundsational Parade back? 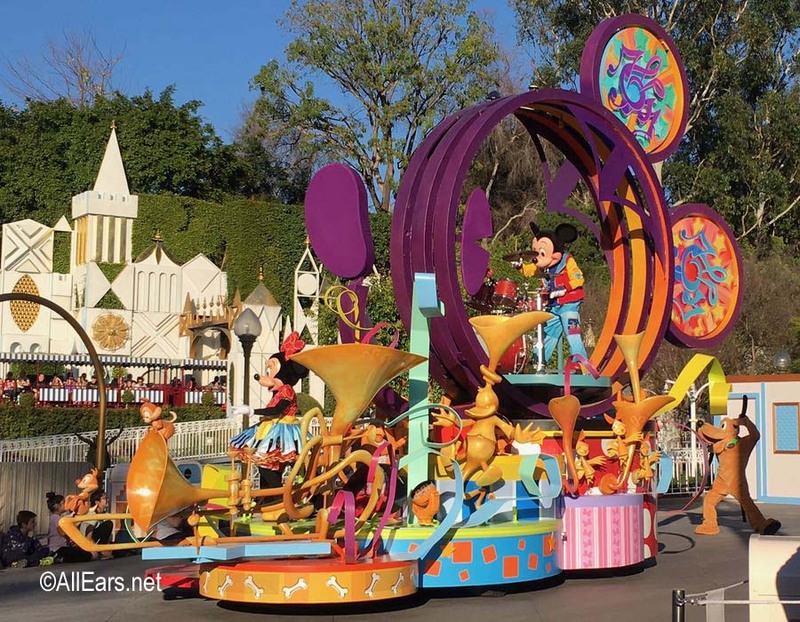 Have you experienced any of the “Get Your Ears On” celebration yet? Let us know below! Previous PostPrevious Who Does It Better? Animal Kingdom Lodge or Polynesian Village? Next PostNext Alice in Wonderland Funko Pop Released Today!